At a well-contested election on Monday, 28 May, 2018, the Senate of the University of Ibadan elected Professor Kayode Adebowale of the Department of Chemistry, Faculty of Science to become the new Deputy Vice-Chancellor (Administration). 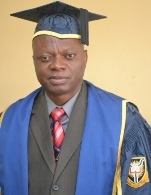 Prof. Adebowale will replace the current Deputy Vice-Chancellor (Admin), Prof. Ambrose EmilolOrun Aiyelari whose tenure will end on 10 June, this year. In the Official Bulletin endorsed by the Registrar on 21 May, 2018, the Vice-Chancellor, Prof. Abel Idowu Olayinka had “in accordance with the provision of Section 4(2) and (3) of Decree no 11 of 1993 (NOW Act 1993): where a vacancy occurs in the post of the Deputy-Vice Chancellor, the Vice-Chancellor shall forward a list of two candidates for the post of Deputy Vice-Chancellor that is vacant for election and the candidates with the majority of votes cast will be elected”, nominated Prof. Adebowale and Prof. Salako for election. Prof. Adebowale, a Professor of chemistry, former Dean, Faculty of Science and Fellow, Nigerian Academy of Science has through his profound scholarship positively projected the image of the University, nationally and internationally. He attended the Senior Executive Course SEC 39, 2017 of the National Institute for Policy and Strategic Studies (NIPSS), Kuru, Jos, leading to the award of Member of National Institute (mni). The new Deputy Vice-Chancellor (Administration) is expected to bring to bear his varied and rich experience in University administration and sound scholarship in his new assignment.